DispatchStation is Emergency CallWorks' all-in-one application for providing receipt of E9-1-1 calls, managing the location by map and dispatching field resources. 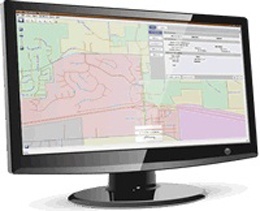 Using the industry's only single application design to natively integrate multiple functions, Call Taking and Dispatching is available directly from the Map, supporting traditional 9-1-1, Mapped ALI, CAD and call receipt-to-resolution reporting from a simple browser window and seamless workflow. 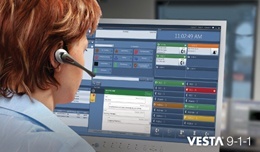 Bringing the best features of these two products together, the VESTA system establishes the new benchmark for NG9-1-1 call taking. It combines Session Initiation Protocol (SIP) call handling with advanced Airbus DS Communications call control technologies to support the emergency and administrative call taking needs of PSAPs with up to 250 positions. It also includes standard telephony features, e.g., Automatic Call Distribution (ACD), one-button transfer and dynamic conferencing. Plus its flexible, open architecture often eliminates the need for a traditional PBX, reducing call center costs and easily accommodating single and multi-site (geo-diverse) deployments. Most importantly, the VESTA system features an all-new, highly configurable and vastly intuitive user interface, considered a foundational component of our next generation integrated, geospatial multimedia platform.